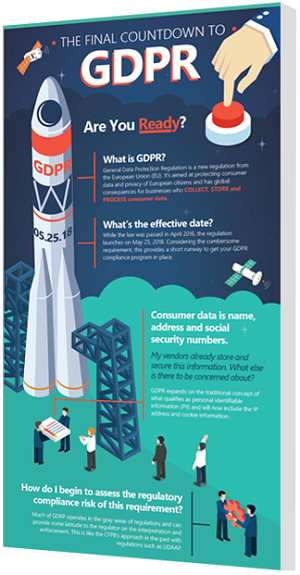 GDPR COMES INTO EFFECT MAY 25 - are you ready? The General Data Protection Regulation is a new regulation from the European Union (EU) and it impacts U.S. companies. It’s aimed at protecting consumer data and privacy of European citizens and has global consequences for businesses who collect, store and process consumer data - that means you'll need to be sure to comply. We've created a guide that answers some of the common GDPR questions to help you get ready.